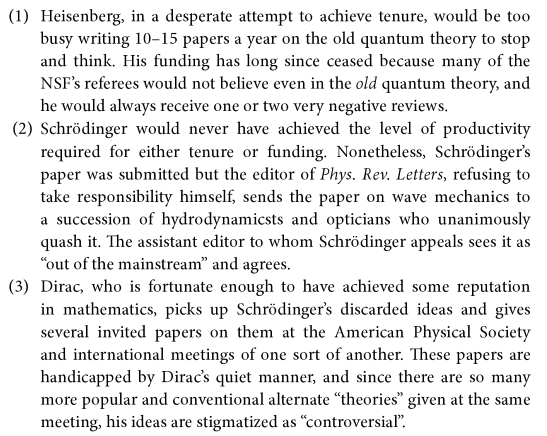 The men who engineered the quantum revolution had some hard tasks cut out in front of them. 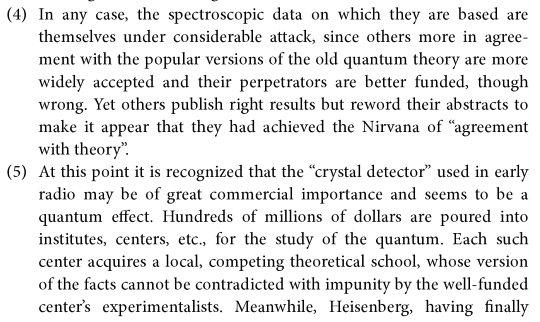 But as the brilliant Philip Anderson says in his sparkling collection of essays "More and Different", at least they did not have to deal with the exigencies of NIH/NSF funding crunches, tenure pressures, media sensationalism, instant approbation or reprobation from social media, and the dog-eat-dog culture of peer review that has come to plague the upper echelons of science. Tis was a simpler time, and here's what would have happened to poor Werner and his fellow physicists had they tried to practice their trade today...it would be funny if it weren't painful.